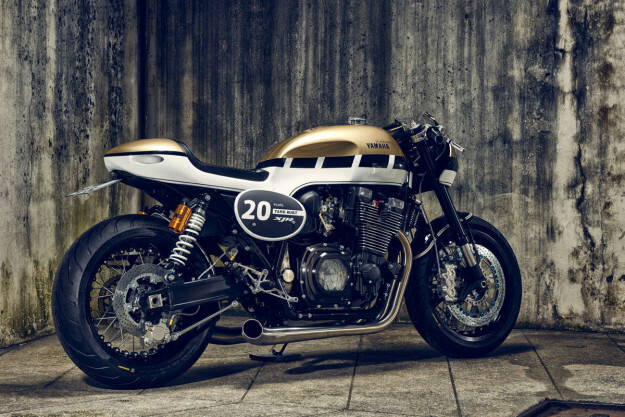 Three years ago, Yamaha Europe kicked off its Yard Built program with the Wrenchmonkees’ stunning ‘Monkeefist’ XJR1300. 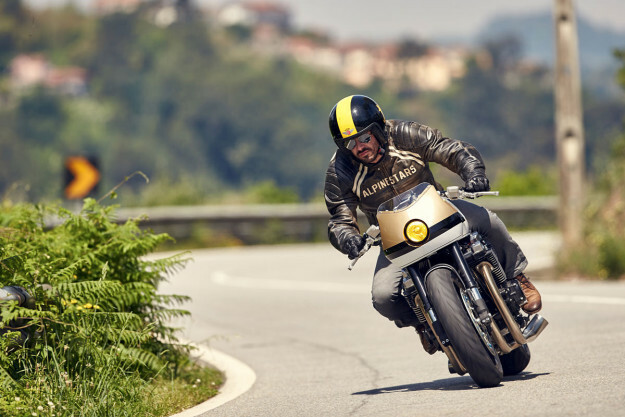 Since then, we’ve seen a steady stream of killer customs from some of Europe’s best builders, including Deus, Benders, Marcus Walz and JvB-moto. 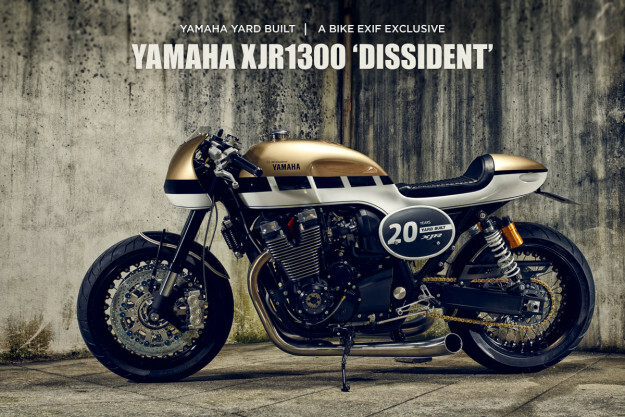 And now we have ‘Dissident,’ a super-streamlined XJR1300 from the Portuguese builders with the weird name, it roCkS!bikes. 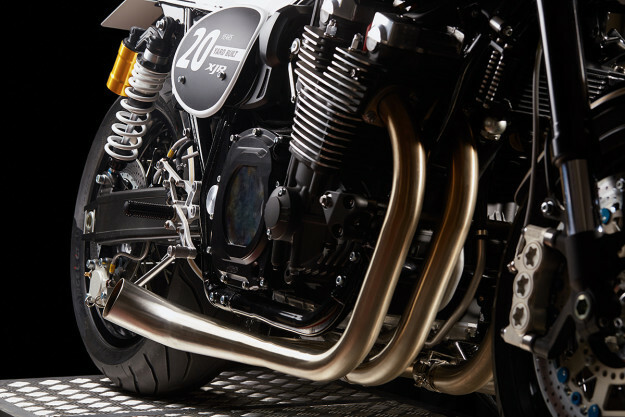 Osvaldo and Alexandre are familiar with the XJR series, and to celebrate the 20th anniversary of the iconic street bruiser, they’ve delivered one of the best custom XJRs yet. 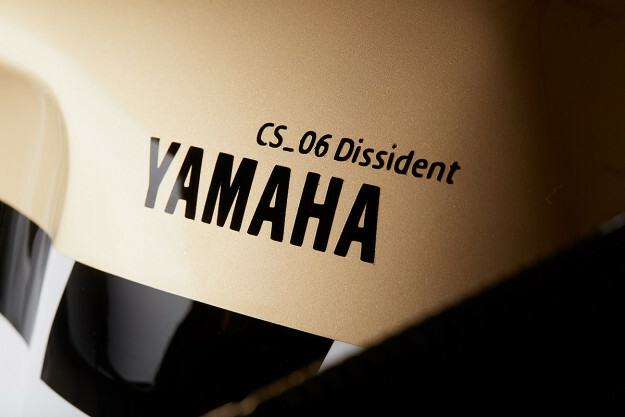 Suspension dynamics have been upgraded with YZF-R1 forks, modified to fit the XJR1300 steering column. 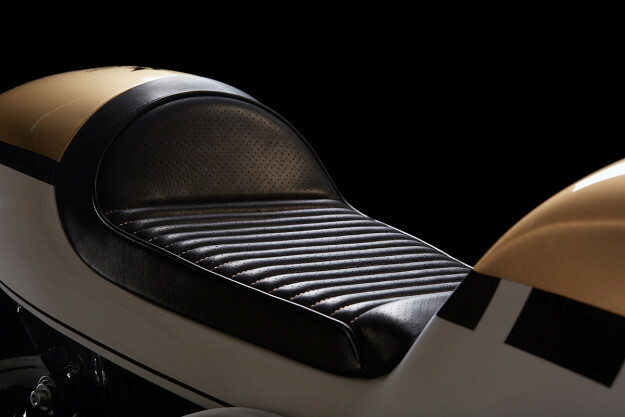 Motogadget supplied the bar-end turn signals, plus a hi-tech Motoscope dashboard—which is mounted on a custom CNC-machined aluminum bracket, and protected by a hand-fabricated bikini fairing. 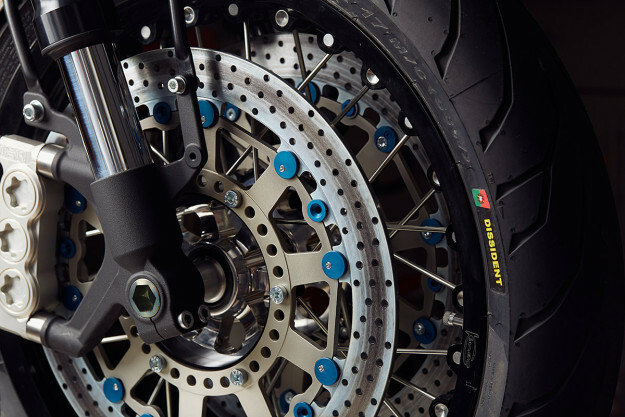 The clip-on bars, grips, rearsets and pegs are all from LSL. There’s also a complete new braking system from the Swedish masters ISR, connected with Hel Performance hoses. That includes new master cylinders and monster 340mm dual discs up front, with six-piston calipers to apply extreme force. The wheels are 17-inch tubeless Kineo spoked rims, shod with Pirelli Angel GT sport touring rubber. 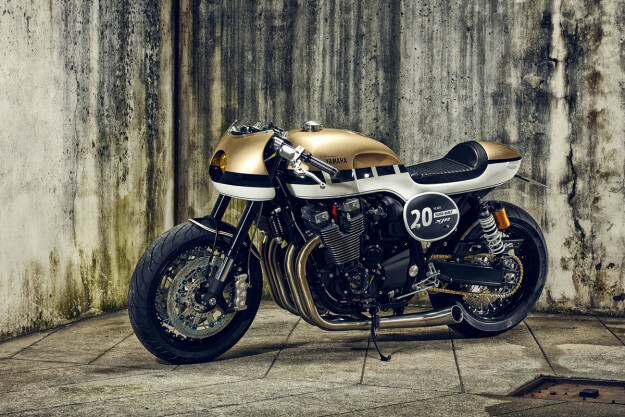 It roCkS!bikes are making small production runs of all the pieces used on this machine, which is good news for XJR1300 owners. Contact It roCkS!bikes via their Facebook page for pricing.